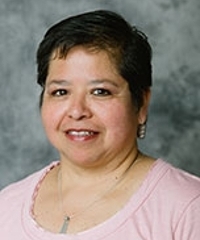 Luisa-Maria Rojas-Rimachi has worked for a number of years teaching a wide range of courses including issues of language, culture, and literature. She is particularly interested in topics of language ideology in higher education, foreign language learning, aesthetic judgment in cultures in contact, and discourse analysis. She has also written about literature as a fundamental window for cultural learning. Designer, editor, and director of the STORY-WRITING PROJECT: Wednesdays in the Fall, Adventures and Surprises, three booklets of bilingual stories were published with the collaboration of the elementary school students from Woodland Academy and Clark University in Worcester, Fall 2009, Fall 2010, and Fall 2011. "La sustitución de la realidad o la evasión a ritmo de tango: melodrama, folletín y kitsch en Boquitas pintadas de Manuel Puig." New England Council of Latin American Studies (NECLAS) 2015 Annual Fall Meeting, 7 Nov. 2015, Tufts U, Medford. "Cartografías de la periferia o la urbe indiferenciada en la narrativa de Roberto Bolaño." New England Council of Latin American Studies (NECLAS) 2014 Annual Fall Meeting, 8 Nov. 2014, Connecticut College, New London. "Patetismo, Mediocridad y Kitsch en Tres Novelas de Roberto Bolaño." New England Council of Latin American Studies (NECLAS) 2013 Annual Fall Meeting, 9 Nov. 2013, Wheaton College, Norton. "Literature in the Crossroads for Critical Cultural Learning: An Example." New England Council of Latin American Studies (NECLAS) 2012 Annual Fall Meeting, 3 Nov. 2012, Yale U, New Haven.